TRIPADVISOR, September 2014, I'm so glad i found this place! It's in a great location in downtown vallarta, close to great restaurants and shops, playa los muertos and the seawalk. They have a cute little pool with several lawn chairs and places to lay out and sunbathe. My room was clean and the bed very comfortable. I would definitely stay here again! 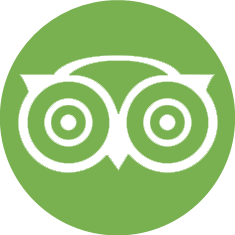 TRIPADVISOR, August 2014, It's not the biggest, it's not the flashiest but it has the most amazing staff and the most comfortable rooms. Located not far from the Playa de Los Muertos, it is ideal if you are looking to relax on a beach. Rooms are absolutely spotless. All in all, a great little hotel. TRIPADVISOR, June 2014. I have stayed at many pv hotels in this area and i must say by far this is my favorite hotel and i will not go anywhere else but here the staff is very helpful and hard working and very attentive to guests needs my room was cleaned daily the common areas where always kept clean and maintained well. TRIPADVISOR, May 2014. I was pleasantly surprised by the Hotel Posada Roger ~ I requested a quiet room and had one of the best night's sleep I had in weeks !!! The hotel rooms are on the small side (however larger rooms are available) but very charming and very clean! I like the lush foliage on the property and the interior courtyard is welcoming and attractive.